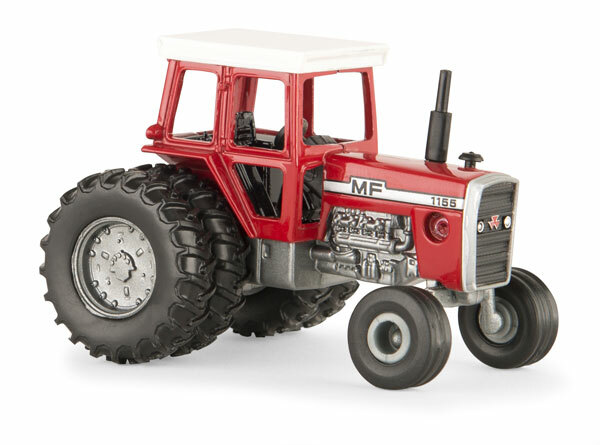 1/64 scale replica of the MF 1155 tractor. The tractor has die cast body, cab, hood, and front axle. Windows show the interior. Soft plastic tires. Plastic wheels. Front axle oscillates. Toy hitch will allow most 1/64 implements to attach to the tractor. Size in inches: 4.5" x 1.5" x 7"